Lock in a great price for Hostal Mary – rated 9.1 by recent guests! Awesome lady owner, great comfort. She was very pleasant and helpful, we are extremely grateful! Good basic facilities with airo and great location. Friendly and flexible staff. Good value for money. Clean rooms. The ladies at the reception were extremly helpful. Late chek-in was not a problem. Rooms are cleand and tidy. There are easy to use swipe cards to open the main gate and the room. I was allowed to stay longer on the day of the check-out. The hostess is a wonderful woman. Always smiling, friendly! Changed our room for a quieter-3-seater without any surcharges. Sea 500 meters from the hotel! Cleanliness and order, every day clean towels and cleaning, although they call themselves a hostel and do not have stars. Just great!!! I loved everything, it was a small room, with everything you needed, the host was amazingly understanding and flexible. (Wizzair denied our boarding because overbooking and we arrived with 3days later and they modified our booking) Cleaning was made everyday. Comfortable beds. The lady was very helpful, in the room there was AC and a small TV, and it was generally very clean. Beds were comfortable as well, it is also quite close to the beach. Hostal Mary This rating is a reflection of how the property compares to the industry standard when it comes to price, facilities and services available. It's based on a self-evaluation by the property. Use this rating to help choose your stay! One of our top picks in Lloret de Mar – and a guest favorite. 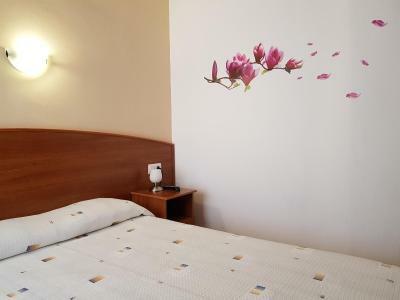 Located 1,300 feet from Lloret Beach, Hostal Mary offers air-conditioned rooms with flat-screen satellite TV and free Wi-Fi. Each room at the Mary Hostal has wooden flooring and a private bathroom. Some rooms have a small balcony. Safes are available to rent. The Mary’s restaurant serves a variety of sandwiches, hot meals and a daily set menu. You can also find many restaurants in the surrounding area. 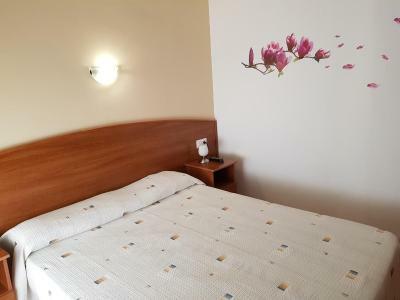 The Mary Guest House is set in central Lloret, just 650 feet from the resort’s popular discos and bars. Lloret Bus Station is 350 feet away and offers regular services to Girona Airport and Barcelona. When would you like to stay at Hostal Mary? This air-conditioned rooms features a TV and a private bathroom with bath tub or shower. Safes are available to rent. This air-conditioned room features a TV and a private bathroom with bath tub or shower. House Rules Hostal Mary takes special requests – add in the next step! Hostal Mary accepts these cards and reserves the right to temporarily hold an amount prior to arrival. Guests are kindly requested to inform the hotel of their estimated time of arrival. This can be noted in the Comments box when making the reservation. Please inform Hostal Mary of your expected arrival time in advance. You can use the Special Requests box when booking, or contact the property directly using the contact details in your confirmation. Thank you! It was a very nice stay! The only minus-no dryer for linen. Shower, no water pressure. Felt like showering in the rain. The personnel is very nice in the hotel, the lady at the reception was very friendly. Rooms are small but extremely clean, good air conditioning. The location is nice: close to the bus station, shopping street, 5-7 minutes from the beach. i went around sept. 9 to the 13th so yes it was very hot during that time .The room was ok size for two people but I did not like that it did not have a small fridge not even a mini fridge .It was very difficult to keep our water cold or even our cold snacks.Also the shower head was not very good the water barely came out and there for I had to take a longer shower to actually be clean . The host was very Friendly she was very welcoming .She showed us everything and how to get to our room. she even said if needed anything to let her know.The rooms are good size and are SUPER clean including bathroom.The property is literly 400-600m to the beach.There are plenty of small shops and restaurants as soon as you walk out the hotel . If you need groceries and don't want to spend a whole lot of money . I would suggest going to Lidle its only about a 15 minute walk .The water there is only 39 cents (trust me its hot in Lloret so you need plenty of water.There is also a bus station right around to the corner that will take you to other destinations such as El prat airport in Barcelona .if you are interested in the night life there are plenty of clubs down the street or if you simply want to exercise or go hiking there are plenty of trails. Everything. For example Location Room Property status Value for your money. Nice owner, they were really very helpful. Hearing loud music from outside, possibly cafe below, during the day. The shower in bathroom was not comfortable because of small space. Really nice and accomodating owner. Perfectly clean room. Good location.